The Nordic nations are firing on all cylinders these days. Denmark keeps churning out sustainable tourist attractions, most recently a 150-foot spiral tower. Finland is again the happiest the country in the world and is renting out Finns to give tips to the rest of the world. And the once Google Earth-neglected Faroe Islands has launched a series of brilliant marketing initiatives, ushering in a bevy of new airline routes. 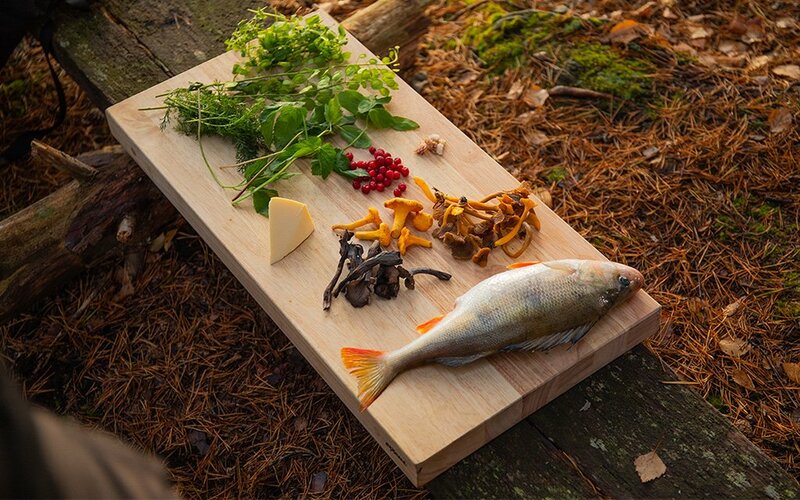 Not to be left out, Sweden’s tourism board, Visit Sweden, just debuted a campaign called The Edible Country, meant to celebrate the country’s wild resources. 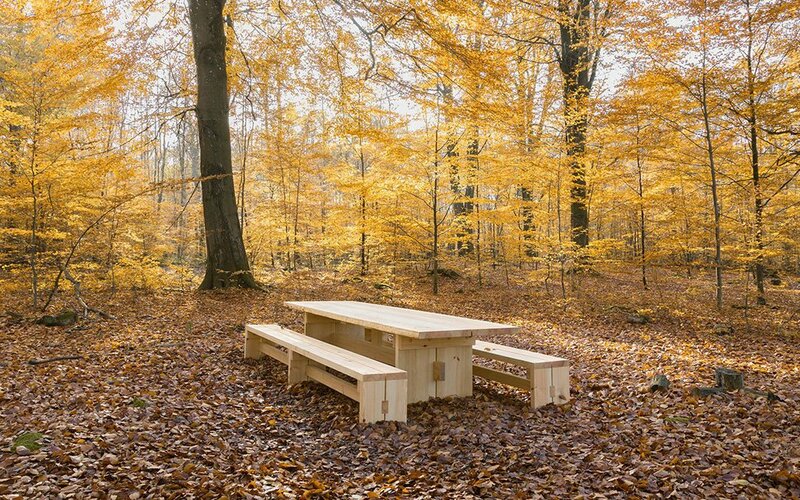 Visitors can now book picnic tables in remote locations, where they’ll cook a Michelin chef-designed meal using only ingredients that can be fished and foraged nearby. The concept, which came from award-winning Swedish chefs Titti Qvarnström, Niklas Ekstedt, Jacob Holström and Anton Bjuhr, focuses on Scandinavian cuisine’s love of locally-sourced ingredients, and Sweden’s preposterous amount of land. The country is 97% uninhabited, and its 100 million acres of untamed lands don’t just offer beautiful views — their forests are dotted with mushrooms and berries, and their lakes are full of perch and char. Here’s where you come in. 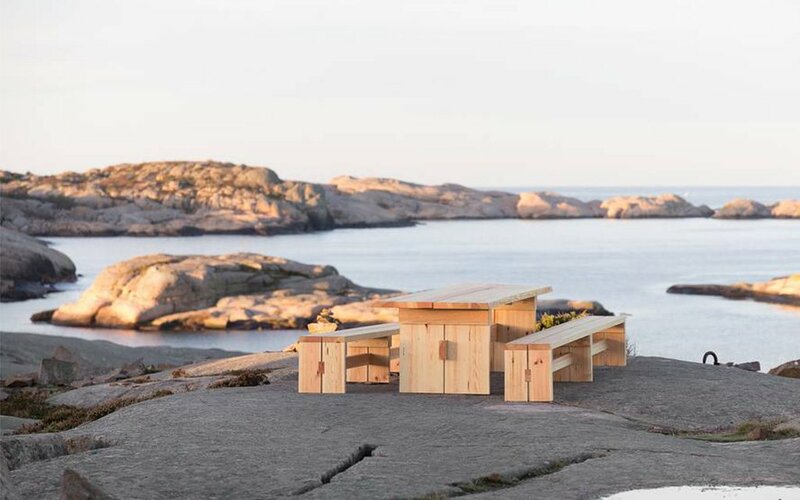 Visit Sweden has set up seven picnic tables around the country. One table, Arjeplog, is way up in the northern tundra of Lapland. Another, called Ormanäs, sits along the beech forests and sandy beaches of southern Sweden. You can book one of the seven tables for a Tuesday or Thursday from May to September. The table will be waiting when you arrive, along with a cooking kit, but you’ve gotta make sure to print out the season’s recipes ahead of time. A sample meal, assuming you fetch your ingredients correctly, might include: nettles, wild garlic and ground elder, which combine to form “Sautéed herbs in browned butter.” Or blueberries, raspberries, meadowsweet, sorrel and chickweed, which create “Wild summer berries with herbs.” Remember to pack salt, oil, butter and fire-starter. And don’t stress about your ability to find all the food; everything you need to know (and stay alive) is detailed in the packets on Visit Sweden’s site. Oh and we almost forgot to mention. The whole thing’s completely free. For more information on how to book a table, head here.